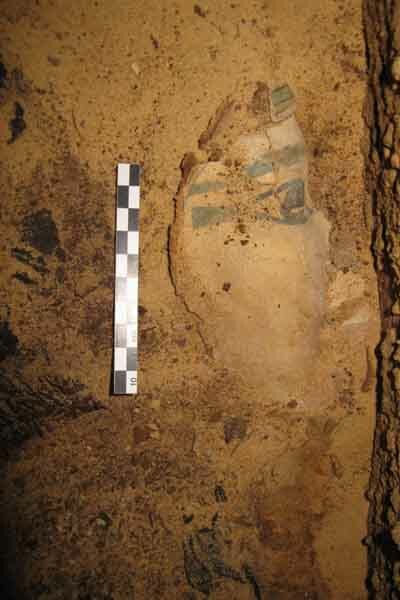 Spanish excavators from Jaén University discovered the 12th dynasty mummy of an Egyptian noblewoman named Sattjeni during excavation work at the Qubbet El-Hawa necropolis west of Aswan. Mahmoud Afifi, head of the Ancient Egyptian Department at the Ministry of Antiquities, said that Sattjeni was the mother of two renowned Elephantine governors, Heqaib III and Amaeny-Seneb, under the reign of King Amenemhat III around 1800-1775 BCE. Afifi said the mummy was found wrapped in linen inside two wooden sarcophagi carved in cedar exported from Lebanon. 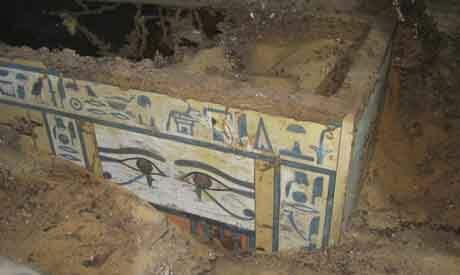 Remains were found on the mummy of Sattjeni's cartonnage funerary mask. The inner coffin was in such good condition that experts could possibly determine the year the cedar tree – used to make the coffin – was cut down. Nasr Salama, director of the ministry’s Aswan and Nubian Antiquities Department, said that Sattjeni was a key figure in Elephantine, as she was the daughter of the nomarch Sarenput II as well as the mother of the two governors. According to Salama, Sattjeni was also the unique holder of dynastic rights in the government of Elephantine after the death of all the male members of her family. The Spanish mission – led by Alejandro Jiménez-Serrano – that made the discovery has been working in west Aswan since 2008. The mission has discovered over several archaeological seasons a number of intact burial sites from different periods, including the tombs of government officialHaqa-Ib and Sabny. The mission has also made a discovery of an unidentified skeleton believed to be of the oldest breast cancer patient ever found.